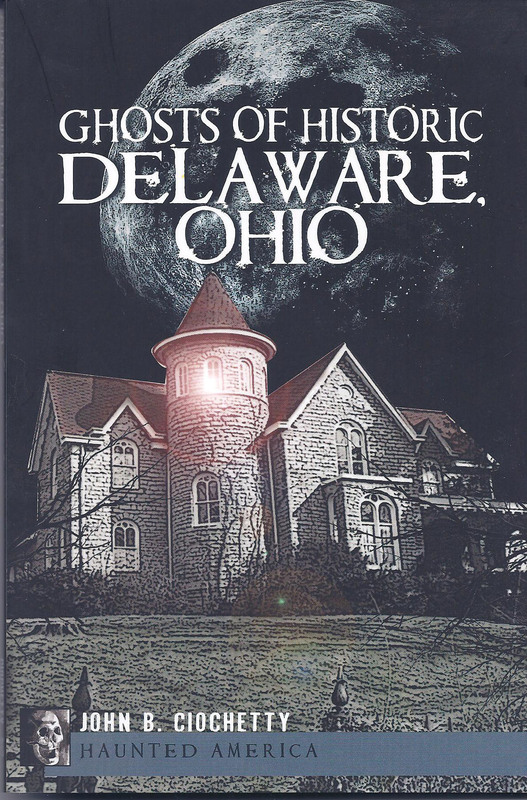 Written by the author of The Ghosts of Stuyvesant Hall and Beyond [Ohio Wesleyan University], the authors has turned his considerable historical research skills to all of Delaware and surrounding areas. 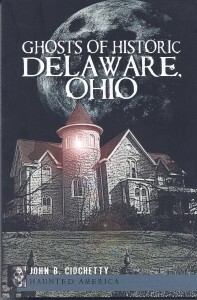 The infamous Vaudeville Ghost that still puts on a show at the Strand, the mischievous, piano-playing poltergeists of Arts Castle and the bearded ghoul that speeds at a hellish pace down North Franklin Street in a horse-drawn carriage—these are the otherworldly denizens of Delaware, Ohio. Ciochetty’s collection of haunted lore chronicles the strange but hard facts of history that have given rise to tales of the city’s restless spirits. Some of the sites included are: The Mansion House Hotel, University Hall and Gray Chapel, Edwards Athletic Field, The Strand, Delaware’s Art Castle, Blue Limestone Park, Hobby Central, Northwest Neighborhood District, Perkins Observatory, Underground Railroad ghosts, Oak Grove Cemetery, Ohio Home Cemetery. One of the most exciting discoveries the author made was the real identity of the “Pirate” John Robinson. Join Ciochetty as he explores the other side of Delaware to discover its spine-tingling, haunted history.